Do you have difficulty sleeping at night? Do your ears hurt when you fly? Are you prone to swimmer’s ear? Do you attend noisy events or enjoy hunting? Are you a musician or do you attend a lot of concerts? 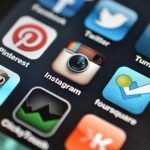 If you answered yes to any of these questions, then this article is for you! We are talking about ear plugs. If you have ever wondered whether you should be wearing ear plugs, and which ear plugs are the best for each situation, then we’ve got you covered! Before we dive into the different types of ear plugs, you must first understand what makes one earplug better than another. First of all, earplugs must fit properly and be worn correctly in order to do the job. If you are trying to get by with a poor quality or poor fitting ear plug, then you are doing yourself a disservice and could actually be causing more harm to your ears. The effectiveness of a hearing protection earplug or earmuff is specified by a Noise Reduction Rating (NRR). The typical range for hearing protection is from 15 to 35 decibels of sound attenuation. The higher the NRR is, the more noise attenuation it provides, as long as it is also a good fit in the ear. There are many different types of earplugs available. The type of earplug chosen will depend on each individual’s needs, as well as style preferences. Sleep is very important to your overall health, and approximately 30% of the world’s population isn’t getting enough of it. When you have trouble sleeping due to ambient noise, earplugs specifically designed for sleep are a great solution. Sleep earplugs are generally made for comfort, with a softer and more flexible material so they can be worn all night long without irritation. Anyone sleeping in a noisy environment due to traffic noise, noisy neighbors, student living, etc. Custom sleep earplugs. Can be made by a hearing healthcare professional by taking an earmold impression of your ear and sending that impression to an earplugs manufacturer who will then custom make a pair of ear plugs for you. These usually offer the most sound attenuation. Disposable sleep ear plugs. Typically made of a soft foam material for comfort. They are only meant to be used one or two times at most before a new pair is needed. Moldable earplugs. 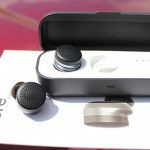 A great alternative solution for when you can’t get a comfortable fit with a traditional earplug and you don’t like the way the foam feels in the ear. These are made of a wax or silicone material and are molded into the bowl of the ear by the wearer. Reusable sleep ear plugs. Typically made of a soft silicone or plastic material. They are generally more durable and can be reused for several night’s sleep. Earplugs for noise, sometimes called sound plugs should be worn around any loud environmental noise, such as when around machinery, power tools, lawn equipment, gunfire, aircrafts, explosives, sporting events, motorcycles, and loud music to prevent noise-induced hearing loss. Any sounds louder than 85 decibels have the potential for causing noise-induced hearing loss. The Occupational Safety and Health Administration (OSHA) require earplug use for workers exposed to loud noises. But, earplugs should be used by those engaging in loud recreational activites as well. Sporting event attendees such as NASCAR, football games, etc. Custom noise plugs. Almost always the most efficient when it comes to blocking out harmful sounds. They can be purchased through a hearing healthcare professional who will first take a impression of your ear for a custom-fit. Earmuffs. A popular form of noise protection for those working around machinery or lawn equipment. Earmuffs are desired by some people who do not like the way earplugs feel in the ear, or if they need some added protection. Earmuffs can sometimes provide more noise attenuation than earplugs can, for those working in extremely loud environments such as with aircraft engines or heavy machinery. Reusable noise plugs. An inexpensive way to make sure you are always prepared. They are typically made of a soft silicone material and can be cleaned after use for re-use later. Reusable noise earplugs can come corded or non-corded, and some brands include a carrying case. Disposable noise plugs. The least expensive option for occasional use, but if you plan on wearing earplugs often, it pays to invest in a reusable pair. Disposable earplugs must be discarded after each use and are generally made of a foam material. Earplugs or earmuffs should be worn anytime you are around gunfire. The average gunfire shot can often exceed 140 dB, a dangerous level that can cause permanent hearing loss. It only takes one if these loud impulse noise exposures to affect your hearing. Whether shooting the gun yourself, or standing near gunfire, noise protection earplugs should be worn. Custom shooter earplugs. Great for the professional shooter or hunter who will need high-quality and comfortable plugs for everyday use. They can be ordered through a hearing healthcare professional using an earmold impression of your ear canal. Electronic shooter earplugs. Feature micro processors that compress dangerously loud noises (gun blasts) while allowing safe levels of sound (speech, ambient sound) to pass through to the ear. They are the most expensive type of earplug (typically $200-$400) but perfect for those who regularly spend time in shooting environments. Reusable shooter earplugs. Available corded or non-corded. The corded model is great for shooters who want to be able to easily remove them between shooting sessions, without losing them. Disposable shooter earplugs. Basic foam earplugs that are used for any general noise protection. Earmuffs. Popular among those at a shooting range where you are exposed to not only your own gunfire, but also that of the shooters around you. Earmuffs typically have a high noise attenuation level, great for those high impact noises like gunfire. Musicians spend a lot of their time around damaging noise levels. Whether they play a musical instrument or sing in a band, musicians are at risk for developing music-induced hearing loss. 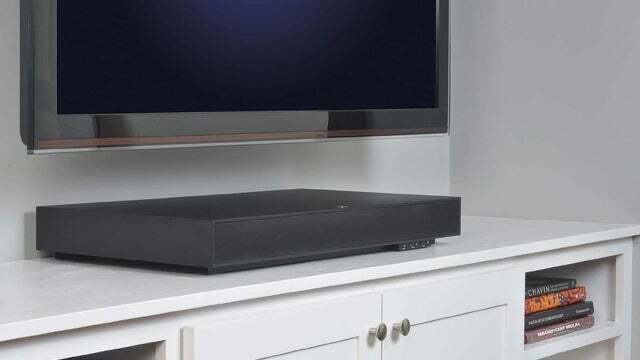 Almost all instruments are capable of producing damaging sound levels, and then you add in the amplifier and advanced sound systems which can increase the volume even further. Musicians rely on their hearing in practice and performance, and it is important that their hearing is not compromised over time. However, many musicians choose to not wear earplugs because standard noise-reduction earplugs can degrade the quality of the music. High fidelity earplugs, on the other hand, are capable of letting in the good (the precise tonal quality) and keeping out the bad (the high volume). High fidelity earplugs take into the account the resonant frequency of the ear so that attenuation of the sound is even across the frequency spectrum, preserving the original musical quality, only quieter. Musician earplugs are not only for musicians, but for music lovers as well. For those who frequently attend concerts or music events, investing in a pair of high-fidelity earplugs will save your hearing after years of enjoying the music. Custom musician earplugs. Consist of a filter and a custom earplug that is molded to the shape of the ear. The filter is typically a 9, 15, or 25 dB attenuation filter. The ER-15 filter is appropriate for most musicians. The ER-25 filter may be necessary for drummers or amplified bands. The ER-9 filter is appropriate for solo or acoustic performers. Custom earplugs offer just that, customization. These can be purchased from a hearing healthcare professional who will first take an earmold impression of your ear to customize the earplug. Non-custom reusable earplugs. An inexpensive alternative for musicians, students, and concert attendees. They still take into account the resonance of the ear to preserve the musical quality, while reducing overall sound volume. Many people are unaware that there are non-custom musicians earplugs. When purchasing a pair of musician earplugs, you want to look for the term “high-fidelity”. These are a great inexpensive solution that can save the hearing of students, music instructors, and musicians who are consistently exposed to damaging music levels. Electronic musicians earplugs. Adaptive earplugs that can adjust to changing sound levels. For example, a band instructor may need to hear the student’s questions during band practice, but also get protection from the music when the band begins playing. Adaptive earplugs will let low level sounds (the student speaking) come through naturally, while automatically kicking in to provide a sound attenuation of either 9 or 15 dB during the loud sound (when the band begins playing). Earplugs for swimming, also called swimplugs should be worn when swimming or showering when it is necessary to keep water out of the ear. This may be to avoid an ear infection in dirty water, or when there is a perforation in the eardrum. Many children require the use of swimplugs after receiving pressure equalization (PE) tubes in the ears following chronic ear infections. While the tubes are present, it is important to keep water out of the ear to prevent infection. Custom swimplugs. 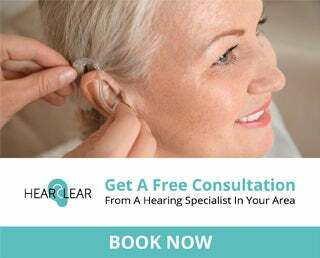 Can be purchased from a hearing healthcare professional. A mold is taken of the ear so that the plug fits snug in the ear and prevents any water entry. Moldable earplugs. The next best option behind custom swimplugs. They are usually made of a silicone or wax material that can be molded into the bowl of the ear to keep water out. Earplugs for flying, also commonly called earPlanes, are not used for noise reduction. Instead, they are used for helping to naturally equalize the air pressure in the ear canal when the cabin pressure rapidly changes. They help to prevent popping, pain, and pressure caused by the rapid change in air pressure upon take-off and landing. Earplanes are the most popular type of earplugs for flying. They are made of a soft hypoallergenic silicone material and can be used twice before being discarded (two flights). Earmuffs are more suitable for children versus earplugs, because they are safer, easier to use, and provide optimal sound attenuation. Babies and children should wear earmuffs whenever they are exposed to loud sounds for any extended time period, such as when at a sporting event, fireworks show, or concert. It is important to begin protecting your child’s hearing immediately. The cumulative affects of noise on a child’s hearing can be extremely damaging later in life. The best earmuffs are the ones that fit well. Even tiny gaps around the earpiece can allow damaging sounds to get into the child’s ears. 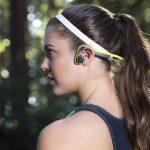 A padded earpiece and an adjustable headband is preferred for the best fit. 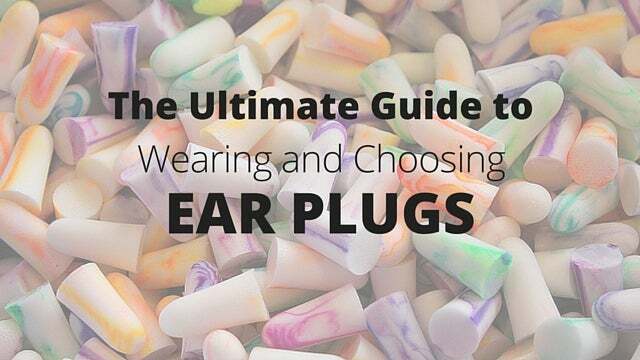 This is by far the most comprehensive guide to choosing the best ear plugs to help protect your hearing. However, if you have any additional questions be sure to leave us a note below and we’ll get back to you. I am a safety professional working in an occupational setting. I can say for those situations there is a detail worth mentioning. Most earplugs will be issued with an NRR rating, (noise reduction rating). It would look something like, “NRR 29”. The “29” is how many decibels that piece of equipment prevents from entering the ear. However, it is strictly from a laboratory setting. In other words, you and I wouldn’t get that kind of reduction in the work place. There is a formula for us to calculate how much NRR we are actually getting: (X-7) ÷ 2 = Actual NRR Rating. This gives us a healthy expectation of what we should expect. In this situation it would be around 11 decibels of protection. This is something safety professionals should always keep in mind when they have employees working in very high noise areas. First let me say thank you for mentioning custom molded earplugs for sleeping as well as other custom earplugs (shooting, constructions, concerts, etc. ), out of all the research I’ve done personally as well as all the industry knowledge I have, it’s rare to come across a review page that even mentions custom ear products. 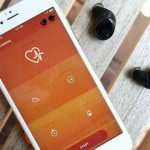 I started my company five years ago with the mission of making hearing health care more accessible to the masses, in particular custom earplugs. Since then we’ve upgraded our process of making custom earplugs from a manual process to our current fully digital process involving 3D Scanning the ear impressions, modeling them in a program, and then printing them on our 3D Printer… which is super cool to watch by the way :) The digital process allows us a lot more freedom and reliability with the final product which leads to better comfort and noise reduction. If you can’t find a universal earplug that works well for your needs, whether that be a comfortable sleep earplug, something durable for construction, or a filtered earplug for music/performing, please come check us out and give our 60 day risk free trial a shot. Very cool! Thanks for checking out Everyday Hearing and for all you do to help protect ears! Hi Justin, I would love to give your custom earplugs a try! How can I get fitted? I used this type of molded ear plugs in my work place and in most other places and find they are the best and my opinion have not found anything better, I tried them all! What is your website justin? Great article. I have a condition where I can hear roaring thunder in my head due to a recent hearing loss. The sound is extremely loud and and debilitating. I’ve found that disposable plugs while reducing the ambient noise also greatly reduces the inner ear sounds and brings me tremendous immediate and temporary relief. I plan to invest in a pair of custom earplugs. Thanks for sharing! I’m going on a vacation and what I need for sleeping during a long bus trip is earplugs. This article is what I’ve been looking for and I especially like that sleeping earplugs are made with a soft and flexible material so that they can be worn long without irritation. I’ll definitely consider these recommendations in order to make my trip more comfortable. Thanks for the great article. So much useful information shared. I wonder which would be the best for noisy up-stairs neighbours that keep pounding my ceiling? I could literally think of dozens of good reasons to use earplugs. I referee basketball and I am constantly blowing a whistle. I have noticed I starting to have trouble hearing and I think it is because of the whistle. I was wondering what would be a good ear plug to wear while I am running that will block out the sound of the whistle but still allow me to hear if someone is talking to me. Hi Greg, you should have good success with the filtered earplugs for music for your situation. of the time. I would like to barely hear it or even better not at all. what would you suggest. I would consider using an earplug for music from this list. I like the Etymotic ones listed on the chart under “6 Best non-custom music earplugs”. Those should work well for you in that situation. I have a music-enthusiastic 4.5 year old who attends many concerts. He’s been wearing disposable ear plugs for a few years and is happy to wear them, but once in a while they fall out and we have to re-insert mid-show. I’d like a less-likely-to-fall-out solution for him, where he can still enjoy the music clearly and have 100% hearing protection. Are custom fit plugs the best option, or do the over-ear children’s headphones allow for equal music quality? If the most important thing is maintaining the quality of the music (but just make it quieter and safer) I would recommend custom musician plugs. 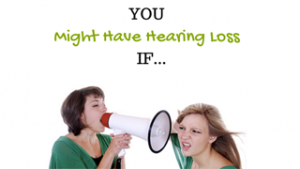 Your local audiologist should be able to make them for you if you explain your needs. I read the article but feel I need a little more help with finding ear plugs. I just started working in a dog kennel( enclosed space made of brick, able to house over 20 dogs) , the barking is ok for now ( only 2 howlers) but I feel it will get worse. the dry they use is a hose that shots very strong air ( water comes off like a mist from the dogs) then large hair dryers are used . They gave us 32dB ear plus but I think I may need something stronger.. I have sensitive hearing. any advice on ear plugs to get or try? 32dB ear plugs are actually very effective. It is hard to find a NRR that is higher than that. Could you please advice what are the advantages of silicone swimming ear plugs versus Ethylene Vinyl acetate (EVA) ones? Silicone are a more pliable material (higher shore value) so they typically have a more secure and airtight seal for things like swimming. Is it harmful to wear earplugs (designed for swimming) to sleep in? They really block out the noise for me but I can definitely feel the suction at times. Greetings… I have heavy construction right outside my bedroom. It’s super loud and it’s going to go on for about a year. I was using cotton, but it doesn’t completely black. I’ve found a product called Mighty Plugs which is like a blue moldable putty. I’m a day sleeper and I’ve been stuffing my ears with it when I go to bed and it cancels out almost all noise. Lately I’ve been hearing a ringing in my ear. I’ve been reading that it’s unsafe to be doing this. Is this o.k. to completely block the canal? Do you recommend anything that blocks out almost all noise that is safe? There shouldn’t be a concern with putting earplugs in your ears as long as they are remaining comfortable. 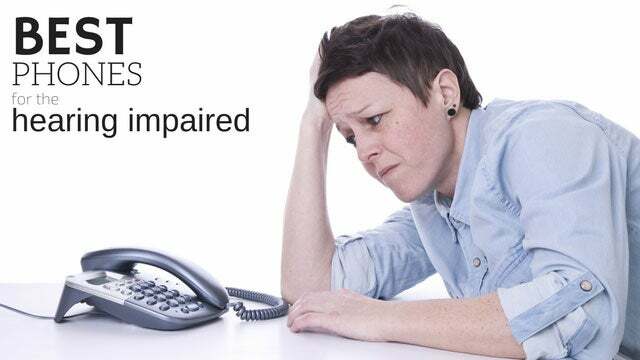 If you are hearing the ringing when you put the plugs in it is likely because they are blocking out ambient noise that would otherwise mask the ringing noise. I have general sensitivity to loud noises. I often wear them in places where I still need to hear other things i.e. in a noisy restaurant where the background noise is hurting my ears, but I still need to hear the people next to me. I have used memory foam ones, but have heard the flanged ones might be better to still hear details. Any suggestions? I would recommend the flanged ear plugs that have different filter options. I need earplugs to reduce outside noise. In a crowded room I pick up noise but not conversation. Can you please recommend earplugs such as performers wear. My job also can be noisy and I can’t hear what colleagues are saying because of the background noise. I would prefer something clear that I can wear every day. I have had problems for many years and the noise symptoms come and go, so anything you recommend would be helpful. Hi Anita. Be sure to check out the earplugs for music. Even if music is not always the sound you want to block out, these would be good for the situation you describe. For a clear option, check out the Earasers. I need something for sleeping with a snorer that won’t cause my skin to get irritated and raw. I believe it may be some type of allergy to the materials. I actually got such a bad exterior ear infection from an open irritation I almost ended up in the hospital last week. Any recommendations? For the last 7 years, I wear custom plugs from my audiologist made of tacky pliable material AND 34db ear muffs for daily 1 hour aerobics classes set to LOUD music. I also wear just the plugs for loud spaces and sporting events. Unfortunately, I didn’t protect my hearing from these events for a decade before the protection and tinnitus levels increase and hearing aids are next. So, physical health has been awesome for 20 years due to aerobics but sadly at sacrifice of hearing. Is there a type of plug that retains a SNUG seal and does NOT move during activities? I prefer a TOTAL block of sound in these loud activities. It is impossible to get a TOTAL block of sound even with the best custom earplugs. The best they can do is reduce the volume to within safe levels. Perhaps you can ask the aerobics instructor to turn the music down? Hi. I work in a dental office that has a lot of high pitched sounds like high frequency drills and ultrasonic machines. Do you have any recommendations for this setting? Thank you!! The musician plugs would probably be the best option for you because it will level out the high-frequency sounds. Thanks for sharing the useful information! There are even earplugs for dentists and patients to protect from hearing loss due to the high noise of drills and other dental machines. There are also earplugs for dentists and patients, the best ear protection that reduce the noise of the handpiece and HVE while allowing for all-day comfort and natural patient communication. Know any thing about the Silent Partner? Hi Amanda, it may not be moisture that is blocking your ears but earwax. You should have your doctor check your ears for wax and have them professionally cleaned if necessary. Wax typically falls out of our ears at night when we’re sleeping but wearing the earplugs will hinder this process. You just may have to have your ears cleaned more frequently. My husband snores ALL the time and it is really affecting my sleep. I have tried disposable ear plugs for sleep but I can still hear him. It’s almost like I can hear him through the pillow. A friend suggested industrial strength ear plugs – she says they work a treat. What would you suggest? Thank you so much for the positive feedback, it’s great to hear that you found our article beneficial. Hi Mellisa, Thank you for the feedback. It’s great to hear you found it the article useful.